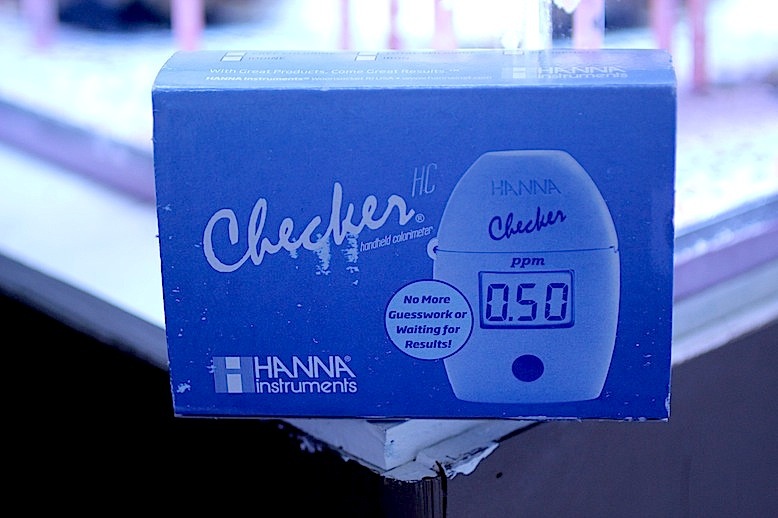 When the Hanna Instruments Checkers came out, aquarium hobbyists were overjoyed to see a line of digital aquarium testers from a well-known brand being offered at affordable prices. 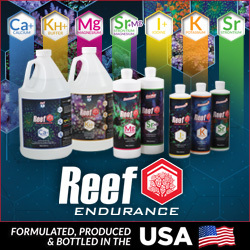 Hovering around the $50 mark, these testers looked to be serious competition for the traditional titration-based test kits that have been available for decades. 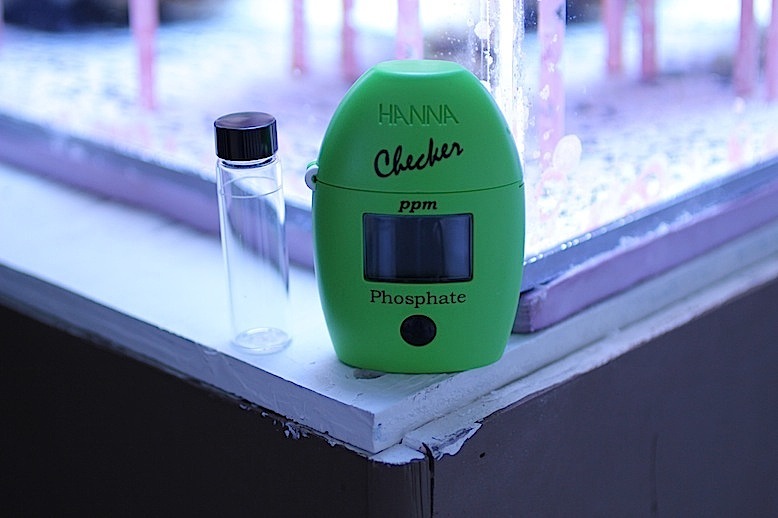 Coupling their great price point and the fact that we’re no strangers to Hanna Instruments equipment (I personally owned one of the larger phosphate colorimeters), we decided it was time to get a Checker to try out. 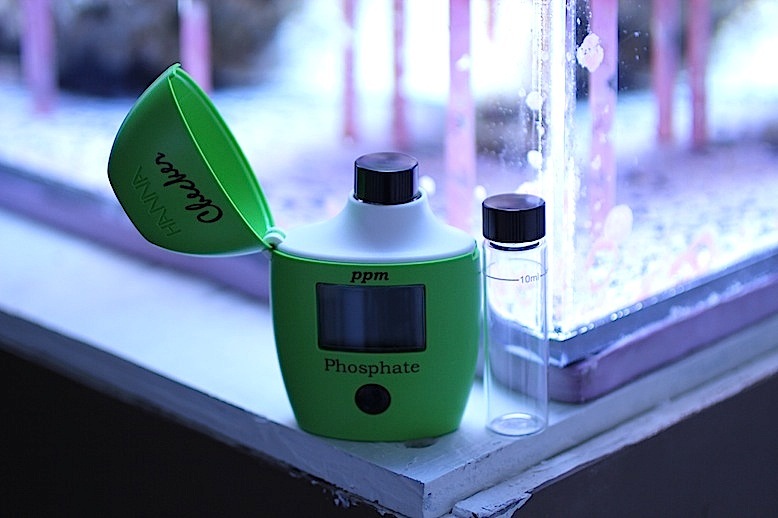 And while we haven’t gotten a chance to run the full gamut of testing with this tiny handheld phosphate meter, we did get to unbox it and had a few comments to make about it. We tore into the packaging, finding a hard plastic case wrapped in a cardboard sheath. Once past the cardboard, the hard plastic case was really hard to get into for some reason. The tab that snaps the case shut just wouldn’t seem to break loose, but after trying for a few minutes we finally managed to get to the goods. Normally we don’t care much for packaging, but because of the difficulty just getting into the box, we felt it should be noted. 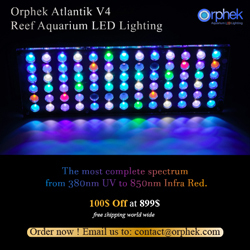 Our difficulties may be isolated and they obviously don’t effect the Checker itself, so there’s little to be concerned about. The Checker is obviously quite small. It fits into the palm of your hand and it was very easy to open for inserting the glass cuvettes. However, it was really difficult to undo the bottom of the device to insert the battery. The screw fastening the bottom cap of the tester was easy to remove. The actual bottom plate itself was a different story. The electronic connections that feed juice from the batter to the Checker kept the bottom plate stuck in place even after the screw was removed. This makes changing the battery very inconvenient, but fortunately it’s not a task that should have to be done very often. Another thing we noticed with the setup was one of the cuvettes seemed to have a small scratch in the glass. The test relies heavily on the cleanliness and clarity of the glass cuvettes, so a scratch no matter how big or small can become a big deal. There’s no telling how the scratch got there, but fortunately it’s isolated to one side of the vial. 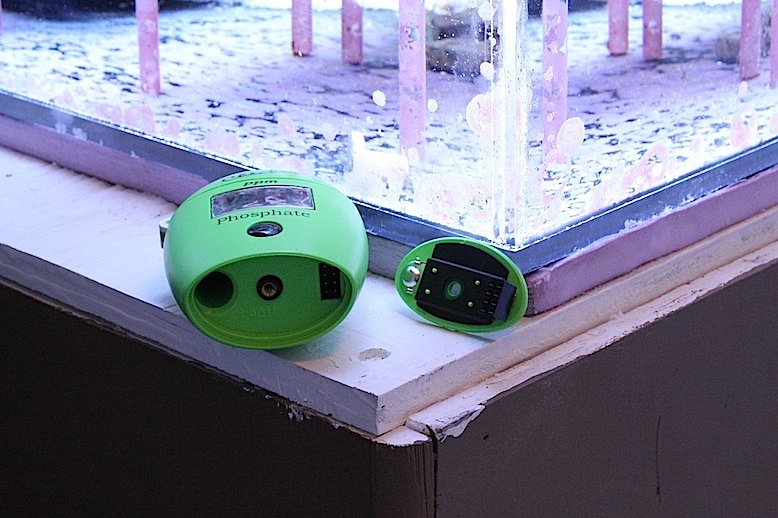 To avoid it during testing, the lamp’s location will be noted and the vial will have to be rotated to prevent the scratch from affecting results. 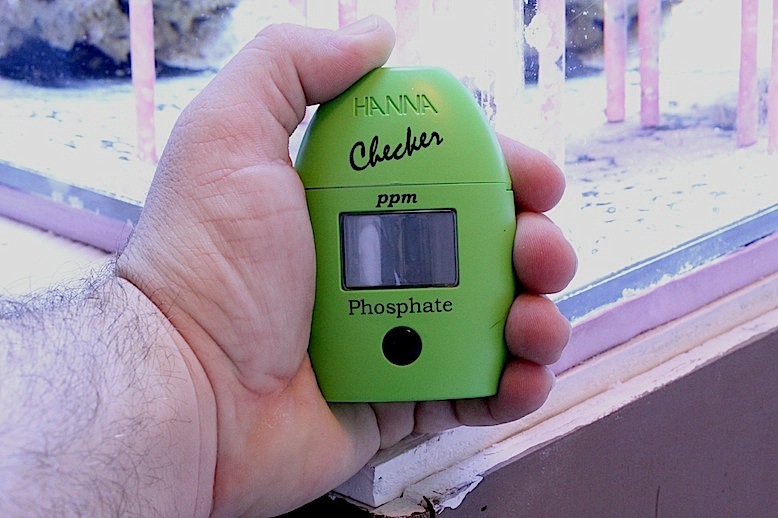 As we hinted at before, this is just an unboxing of the Hanna Instruments Phosphate Checker. 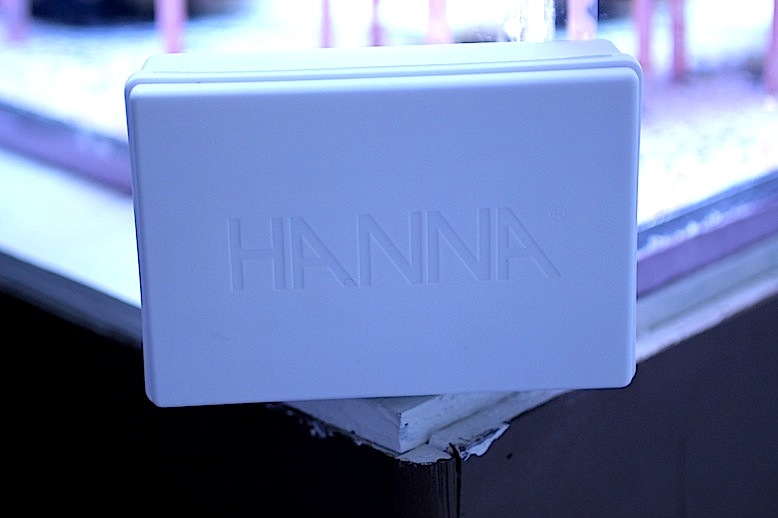 We’ll have more details about it, along with a full video and product review in the near future.